May 2017 saw the launch of the Association’s Online Directory of Parliamentarian Officers, the Association’s major project of recent years and the culmination of almost two decades’ work. From time to time the Association has undertaken major projects, often linked to key anniversaries. 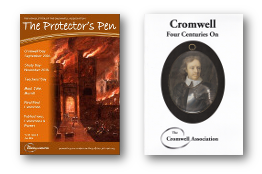 Thus to mark the Association’s own fiftieth anniversary, during the 1980s we commissioned and supported the publication of The Cromwellian Gazetteer; more recently, to mark our seventy-fifth anniversary, we published Cromwell Four Centuries; and to help mark the four-hundredth anniversary of Cromwell’s birth, we published Cromwell 400. But around the time of the quarter centenary in 1999 and in the light of a clear decision to take on something big and ambitious for the start of the new millennium, the Association decided to launch a longer-term project, namely a biographical dictionary or directory of parliamentarian officers. By the time we launched our project, there was a lot of work already completed and published: Peter Newman’s biographical dictionary of royalist officers, which in some ways might serve as a model for our work; Laurence Spring’s excellent regimental studies of Waller’s and the Eastern Association armies; the series of booklets by Alan Turton and Stuart Peachey on the military units raised and operating in south-west England and on the regiments of the Earl of Essex’s army; and pamphlets on several other individual regiments, many of them published by Partizan Press. But there was a clear need both to draw together that existing work on parliamentarian officers and to undertake substantial, new, source-based research in order to produce a single, much fuller and widely-accessible resource giving key biographical and service information about the parliamentarian officer corps. That was the project which we launched just before the turn of the millennium and which has now gone live online. From the outset, not only we were realistic about the scale of the project and the difficulties likely to be encountered en route but we also put in place some clear parameters. Aware that Ian Gentles and Malcolm Wanklyn were undertaking their own extensive work on the New Model Army officer corps, we decided from early on that we would not include officers who served exclusively in the New Model; the recent appearance of Malcolm Wanklyn’s impressive two-volume biographical study of the New Model officers has vindicated that decision. It was never our intention to include officers in the armies raised in England and Wales for the two wars against the Scots (1639 and 1640) or for service in Ireland in 1641-2, nor those Scottish officers who campaigned in England and Wales in 1643-6 as part of the Scottish Covenanter Army – though those few Scots who became regular officers in English armies are included. Equally, we do not cover staff officers of an army or a regiment, quartermasters, surgeons or clerks or officers in the train of artillery. Regimental chaplains are not routinely included, but those who held quite senior military rank and who clearly on occasion led and commanded men in the field – rather than just stirring them up by preaching, praying or leading psalms – are here. Our aim was to focus on parliamentarian officers who fought in the main civil war of 1642-6 and on the officers of units and regiments remaining outside the New Model who campaigned in the renewed fighting of 1648 and 1651. The directory has strong coverage of officers from (but not below) Cornet/Ensign, through Lieutenants, Captain-Lieutenants, Captains, Majors and Lieutenant-Colonels, up to the rank of Colonel and, indeed, beyond. We are, of course, constrained by the surviving source material, which tends to be much stronger and fuller on senior officers (Captain and above), though information about a good number of the more junior officers, below that rank, has been recovered and is included. Again, bounded by the strengths and weaknesses of the sources, the directory is fuller and stronger on the officers of the regular marching armies than on those who spent most of the war in a garrison or in county-based, militia-type units which rarely or never campaigned further afield with one of the main marching armies, though again a fair bit of information about such officers has been uncovered and plenty of those type of figures are included in the directory. The directory is therefore at its strongest and fullest in providing information on the parliamentarian army officers in the principal and regional armies of 1642-5, but it ranges far wider than that and its coverage is significantly broader. As well as pulling together existing modern listings and histories of regiments and armies, the directory rests upon a huge amount of new work on the contemporary, primary sources. 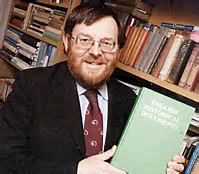 Many of those have been transcribed and published – for example, the letter books of Sir William Brereton and Sir Samuel Luke, the minutes of the Dorset and Stafford committees, the biographies or journals of John Hutchinson and Adam Eyre, the printed volumes of heralds’ visitations, vestry minutes and parish registers and the mass of official reports and information found in the Commons Journal, Lords Journal and the volumes of the Calendars of State Papers. But over and above that, substantial archival research has been undertaken in a range of national and local repositories and records offices, most notably amongst the mass of military accounts, warrants and other financial papers found in the so-called ‘Commonwealth Exchequer Papers’ (in The National Archives, SP28). The initial research and writing was undertaken in stages, each stage focussing on a particular region of England and Wales (for which purpose six main regions were identified early in the project) or on one of the main parliamentarian armies or large brigades (Essex’s, Waller’s, Myddleton’s, the Eastern Association, the Northern and so on). From quite early in the project, it was decided that the eventual publication and dissemination of the material should principally be electronic, making it all available online, and for that purpose one of the last main tasks and stages was to pull together the assorted regional and army material and to produce a single, readily accessible and easily searchable directory, in which all the officers covered (over 4,000 of them at the moment) are listed alphabetically. The important rider ‘at the moment’ has just been alluded to, because while the launch of the directory on the British History Online web-site in May 2017 marked a finishing post for the Association, it is not the finishing post. We are under no illusion that we have produced a comprehensive directory of all the (non-New Model) army officers who fought for parliament and in parliamentarian units in England and Wales during the civil war. There are bound to be gaps and the advantage of electronic publication is that it should be fairly easy to fill those gaps from time to time by adding completely new officers and by supplementing existing entries where further important information comes to light, as well as enabling us to correct errors which may have crept into the text. So this will be a continuing project. However, the lion’s share of the work is done, complete and now fully and freely available online and, in view of the time and costs it would entail, we do not envisage undertaking further major research work on this. Its launch marks a major achievement for the Association, a milestone for us and for this project, and a substantial contribution to our knowledge and understanding of the civil war and the parliamentarian cause.